Leading Exporter of amoxiclav tablet, co-amoxiclav tablets, ceftriaxone and tazobactam injection, ceftazidime injection, sulphaguanidine tablet and ciprofloxacin tablets from Surat. Amoxicillin Sodium And Clavulanic Acid Tablet exporter in India. Co-Amoxyclave tablet exporter in india. We are leading Exporter and Manufacturer of Ceftriaxone And Tazobactam Injection. Ceftriaxone is an antibiotic. It kills the bacteria by attacking their cell wall. Specifically, it prevents the synthesis of a substance in the cell wall called peptidoglycan, which provides the cell wall with the strength required for survival of bacteria in human body. Nausea, Headache, Itching, Allergic reaction, Fever, Vomiting, Diarrhoea. Ceftriaxone And Tazobactam Injection exporter, manufacturer, supplier in India. We are leading Exporter and Manufacturer of Ceftazidime Injection. Cefzidime 1gm injection is an antibiotic. It kills the bacteria by attacking their cell wall. Specifically, it prevents the synthesis of a substance in the cell wall called peptidoglycan, which provides the cell wall with the strength required for survival of bacteria in human body. Ceftazidime Injection exporter, manufacturer, supplier in India. We are leading exporter and manufacturer of Sulphaguanidine Tablet. Blocking the synthesis of sensitive microorganisms. Sulphaguanidine Tablet exporter in India. We are leading Exporter and Manufacturer of Ciprofloxacin Tablets. Ciprofloxacin is an antibiotic. It kills bacteria by inhibiting the DNA replication. Ciprofloxacin tablet exporter in India. We are leading Exporter and Manufacturer of Cefotaxime Sodium Injection. Cefotaxime is an antibiotic. It kills the bacteria by attacking their cell wall. Specifically, it prevents the synthesis of a substance in the cell wall called peptidoglycan, which provides the cell wall with the strength required for survival of bacteria in human body. Cefotaxime Sodium Injection exporter in India. We are leading Exporter and Manufacturer of Amikacin Sulphate Injection. Amikacin sulphate 500 mg injection is an antibiotic. It kills bacteria by inhibiting synthesis of essential proteins, required by bacteria to carry out vital functions. Amikacin Sulphate Injection exporter in India. We are leading Exporter and Manufacturer of Cefepime Injection. Cefepime is an antibiotic. It kills the bacteria by attacking their cell wall. Specifically, it prevents the synthesis of a substance in the cell wall called peptidoglycan, which provides the required strength to the bacterial cell wall for the survival of the bacteria in the human body. Cefepime Injection exporter, manufacturer, supplier in India. We are leading Exporter and Manufacturer of Lincomycin Injection. Lincomycin is an antibiotic. It stops the bacterial growth by inhibiting synthesis of essential proteins, which are required by bacteria to carry out vital functions. Lincomycin Injection exporter, manufacturer, supplier in India. Ceftazidime is an antibiotic. It kills the bacteria by attacking their cell wall. Specifically, it prevents the synthesis of a substance in the cell wall called peptidoglycan, which provides the cell wall with the strength required for survival of bacteria in human body. We are leading Exporter and Manufacturer of Chloramphenicol Injection. Chloramphenicol is an antibiotic. It stops bacterial growth by inhibiting synthesis of essential proteins, required by bacteria to carry out vital functions. Chloramphenicol Injection exporter, manufacturer, supplier in India. We are leading Exporter and Manufacturer of Gentamicin Sulphate Injection. Gentamicin Sulphate Injection exporter, manufacturer, supplier in India. We are leading Exporter and Manufacturer of Cefoperazone And Sulbactam Injection. Cefoperazone And Sulbactam Injection exporter, manufacturer, supplier in India. We are leading Exporter and Manufacturer of Oflaxacin Tablets. Ofloxacin is used in the treatment of bacterial infections. Ofloxacin is an antibiotic. It kills bacteria by inhibiting the DNA replication. Ofloxacin tablet exporter in India. Azithral 200 mg syrup is used in the treatment of bacterial infections and bacterial skin infections. How it works Azithral 200 mg syrup is an antibiotic. It stops the bacterial growth by inhibiting synthesis of essential proteins, which are required by bacteria to carry out vital functions. 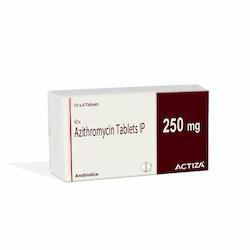 Azithromycin tablet exporter in India. We are leading Exporter and Manufacturer of Fluconazole Tablets. UsesFluconazole is used in the treatment of fungal infections. Fluconazole stops the growth of fungus by preventing them from making their protective covering. Fluconazole tablet exporter in India. We are leading Exporter and Manufacturer of Cefixime Tablet. Cefixime tablet exporter in India. We are leading Exporter and Manufacturer of Amoxicillin Tablets. We have gained recognition as the significant firm of Amoxicillin Trihydrate Capsule IP. Perfect composition Reliable usage Long shelf life. Amoxivan 500 mg capsule is an antibiotic. It kills the bacteria by attacking their cell wall. Specifically, it prevents the synthesis of a substance in the cell wall called peptidoglycan, which provides the cell wall with the strength required for survival of bacteria in human body. Amoxicillin tablet exporter in India. Levofloxacin tablet exporter in india. Cefpodoxime Proxetil is an orally administered, extended spectrum, semi-synthetic antibiotic of the cephalosporin class. It is given as a Cefpodoxime proxetil. Cefpodoxime proxetil is a prodrug which is absorbed and de-esterified by the intestinal mucosa to Cefpodoxime It is active against most Gram positive and Gram negative bacteria. It is commonly used to treat acute otitis media, pharyngitis, and sinusitis. Indications :- Acute otitis media- Pharyngitis and/or tonsillitis- Community-acquired pneumonia- Acute bacterial exacerbation of chronic bronchitis- Acute, uncomplicated urethral and cervical gonorrhea- Acute, uncomplicated ano-rectal infections in women- Uncomplicated skin and skin structure infections - Acute maxillary sinusitis- Uncomplicated urinary tract infections (cystitis).We offer to our clients superior quality Cefpodoxime Proxetil Tablets. Due to high quality and durability these are famous among its user. These products are available in market at most economical rates. Our products are highly appreciated by our clients in the market. Cefpodoxime tablet exporter in india. We are leading Exporter and Manufacturer of Clindamycin Capsules. Clindamycin is an antibiotic. It stops the bacterial growth by inhibiting synthesis of essential proteins, which are required by bacteria to carry out vital functions. Vomiting, Nausea, Joint pain, Difficulty in swallowing, Heartburn, Vaginal discharge, Vaginal irritation, Vaginal swelling, Vaginal itching, White spots in the mouth, White patches on the tongue, White spots in the throat. Clindamycin Capsules exporter in India. We are leading Exporter and Manufacturer of Itraconazole Tablets. Itraconazole stops the growth of fungus by preventing them from making their protective covering. Rash, Joint pain, Electrolyte imbalance, Headache, Dizziness, Decreased libido, Muscle pain, Running nose, Sleepiness. Itraconazole Tablets exporter in India. We are leading Exporter and Manufacturer of Clarithromycin Tablets. Clarithromycin is used in the treatment of bacterial infections and bacterial skin infections. Clarithromycin is an antibiotic. It stops the bacterial growth by inhibiting synthesis of essential proteins, which are required by bacteria to carry out vital functions. We are leading Exporter and Manufacturer of Moxifloxacin Tablets. Moxifloxacin is an antibiotic. It kills bacteria by inhibiting the DNA replication. Moxifloxacin Tablets exporter in India. We are leading Exporter and Manufacturer of Sparfloxacin Tablets. Sparfloxacin is an antibiotic. It kills bacteria by inhibiting the DNA replication. Sparfloxacin Tablets exporter in India. We are leading exporter and manufacturer of Acyclovir Tablets. Acyclovir prevents the multiplication of the virus in human cells. Thus stops the virus from producing new viruses. Acyclovir Tablets exporter in India. We are leading exporter and manufacturer of Ketoconazole tablets. Terbinafine stops the growth of fungus by preventing them from making their protective covering. Rash, Electrolyte imbalance, Headache, Dizziness, Sleepiness, Vomiting, Abnormal liver function tests, Weakness, Allergic reaction, Nausea, Dry mouth. We are leading exporter and manufacturer of Ivermectin Tablets. Ivermectin belongs to class of medications called anthelmintic. Ivermectin works by killing the parasite by paralyzing it. We are leading exporter and manufacturer of Albendazole Tablets. Albendazole belongs to class of medications called anti-helminthic. Albendazole works by keeping the worm from absorbing sugar (glucose), so that the worm loses energy and dies. We are leading exporter and manufacturer of Nitrofurantoin Tablets. Nitrofurantoin is used to treat urinary tract infections by killing bacteria in the urine. Nitrofurantoin tablet exporter, manufacturer, supplier in India. We are leading exporter and manufacturer of Trimethoprim Tablets. Diarrhoea, Abdominal pain, Joint pain, Bruise, Bleeding, Shortness of breath, Mouth ulcer. Ketoconazole stops the growth of fungus by preventing them from making their protective covering. Rash, Electrolyte imbalance, Headache, Dizziness, Tooth discolouration. Ketoconazole tablet exporter, manufacturer, supplier in India. We are leading Exporter and Manufacturer of Cefepime and Tazobactam Injection. Cefepime and Tazobactam Injection exporter, manufacturer, supplier in India. We are leading Exporter and Manufacturer of Oxacillin Injection. Oxacillin is a penicillinase-resistant β-lactam. It is similar to methicillin, and has replaced methicillin in clinical use. Other related compounds are nafcillin, cloxacillin, dicloxacillin, and flucloxacillin. Hypersensitivity and local reactions. In high doses, renal, hepatic, or nervous system effects can occur. Oxacillin Injection exporter, manufacturer, supplier in India. We are leading Exporter and Manufacturer of Piperacillin And Tazobactam Injection. Piperacillin is an antibiotic. It kills the bacteria by attacking their cell wall. Specifically, it prevents the synthesis of a substance in the cell wall called peptidoglycan, which provides the cell wall with the strength required for survival of bacteria in human body. Piperacillin And Tazobactam Injection exporter, manufacturer, supplier in India. We are leading Exporter and Manufacturer of Ceftriaxone Sodium And Sulbactam Injection. Ceftriaxone Sodium And Sulbactam Injection exporter, manufacturer, supplier in India. We are leading Exporter and Manufacturer of Ceftriaxone Sodium Injection. Ceftriaxone Injection exporter, manufacturer, supplier in India. We are leading Exporter and Manufacturer of Oflaxacin Tablet. Oflaxacin Tablet exporter in India. Ceftriaxone Sodium Injection exporter in India. We are leading Exporter and Manufacturer of Ofloxacin Tablet. We are leading exporter and manufacturer of Ofloxacin And Ornidazole Tablet. Ofloxacin And Ornidazole Tablet exporter in India. We are leading exporter and manufacturer of Cefazolin Injection. Cefazolin is an antibiotic. It kills the bacteria by attacking their cell wall. Specifically, it prevents the synthesis of a substance in the cell wall called peptidoglycan, which provides the cell wall with the strength required for survival of bacteria in human body. Cefazolin Injection exporter in India. We are leading Exporter and Manufacturer of Cefixime DT Tablet. Cefixime DT Tablet exporter in India. Looking for Antibiotics Medicine ?